ENGINE - 4.0 V8 1UZ-FE. REMOVED FROM - LEXUS LS400. IT LISTS RANGES OF VEHICLES A PART MAY FIT, HOWEVER IT DOES NOT TAKE INTO ACCOUNT ENGINE CODES, TRANSMISSION, TRIM/FACELIFT MODELS ETC. OUR REF: 1407-090418-113716030. 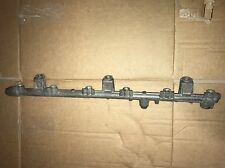 LEXUS RX RX300 MK1 99-03 FUEL PETROL INJECTION RAIL. REMOVED FROM: 2001 BLUE 5 DOORS LEXUS RX300 SE 3.0 PETROL AUTO BEIGE LEATHER INTERIOR (118k. ). From LEXUS IS200 model, fits to all is200 1999-2005 models. In very good condition and fully working order out from fresh is200 2004 model! Will fit 99-05. LEXUS IS220 D - FUEL INJECTOR RAIL. COLLECTION IS ALWAYS AVAILABLE. (Lexus-Celsior LS400 XF20) Engine: 1UZ-FE 4.0 V8 VVTi Petrol. Automatic Gearbox A650E. Engine: 1UZ-FE. From a year 1998 Lexus LS400 Gen2 Mk2 Facelift model. Nous pouvons vous aider si nécessaire. Lexus IS220D FUEL RAIL & FJ006056 SENSOR. Condition is Used. Dispatched with Royal Mail 1st Class. Lexus IS 2005 To 2010 ECU Injector Driver. FROM LEXUS IS220d. Key Features. Complete set, all 4 injectors! Part number 23670-26020. We are gladly at your service for any further queries. Goods will only be dispatched upon cleared funds. (Except Malta, Cyprus, Canary Islands). 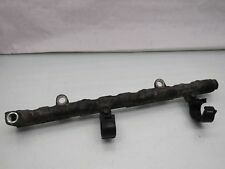 THIS ITEM IS A USED LEXUS IS200 XE10 2.0 PETROL 6 CYLINDER FUEL INJECTION RAIL WITH IN INJECTORS PART NUMBER 23250-70120. REMOVED FROM A 2002 LEXUS IS SERIES 200 SE. 2002 LEXUS IS200 XE10 2.0 PETROL 6 CYLINDER FUEL INJECTION RAIL WITH IN INJECTORS PART NUMBER 23250-70120. 221000R030 INJECTOR PUMP HIGH PRESSURE (DIESEL) ;. LEXUS IS200/IS300 Injector Pump (High Pressure). 2006 LEXUS IS200/IS300 which we are dismantling. The Part imaged and described is th eactual part you will recieve. FROM LEXUS RX450h. Key Features. We are gladly at your service for any further queries. Goods will only be dispatched upon cleared funds. (Except Malta, Cyprus, Canary Islands). REMOVED FROM A 2011 LEXUS IS250 SE-I 6 2.5 PETROL 6 SPEED AUTOMATIC. We provide a wider range of quality vehicle salvage, salvage car parts & used vehicle parts. (FUEL INJECTOR RAIL. Make LEXUS Engine Size 2231CC Valve Gear DOHC Manufacture Date 22/08/2006. Fuel DIESEL Valves Per Cyl. 4 Drive Axle REAR Import. 2) Fault or failure of an ancillary component, for example a radiator, timing belt, water pump, fuel injection system, turbo, coolant, gasket, hoses, etc. 2006 LEXUS GS300 3.0 PETROL FUEL INJECTION RAIL. Here you can buy Genuine Lexus Parts, Accessories and Consumables for your Lexus. You should not rely on the information to make any decision or take any action. No-one understands your Lexus better than us. 1999 - 2005 Toyota IS300 GXE10 3.0 2JZ-GE. 1 x FUEL INJECTOR FOR LEXUS 2JZ-GE 3.0. OEM LEXUS TOYOTA PART. TO SUIT THE FOLLOWING MODELS Month / Year Make Model Series Engine Size Engine Code Notes. LEXUS IS250 SE-I AUTO 2.5 PETROL 2011 FUEL INJECTOR PIPE. REMOVED FROM A 2011 LEXUS IS250 SE-I 6 2.5 PETROL 6 SPEED AUTOMATIC. We provide a wider range of quality vehicle salvage, salvage car parts & used vehicle parts. 1999 - 2006 Toyota Landcruiser FJZ78 4.5 1FZ-FE. 1999 - 2006 Toyota Landcruiser FJZ79 4.5 1FZ-FE. 1993 - 2006 Toyota Landcruiser FJZ80 4.5 1FZ-FE. 1998 - 2007 Toyota Landcruiser FJZ105 4.5 1FZ-FE. Price is for a full set of 6 injectors. Engine: 3.5L PETROL. This item has been removed: LEXUS. Make: LEXUS. Wheel position : RHD. Vehicle information All parts are available from this car. UAB QONAGO No weekend or after working hours dispatch available. Professionally re-manufactured fuel injectors. Suits Toyota / Lexus 1MZ-FE engine. LEXUS IS 220. DONOR VEHICLE DETAILS. You are buying an exact item shown on the picture above. We can help to identify whether the part will fit your car. We aim to provide the very highest levels of service and reliability. 3/92-8/96 Lexus ES300 VCV10 3.0L 3VZ-FE. 11/95-7/98 Toyota 4Runner VZN 3.4L 5VZ-FE. OEM DENSO / TOYOTA PARTS. 6/91-8/96 Toyota Camry / Vienta VCV10 3.0L 3VZ-FE. 4/96-6/99 Toyota Land Cruiser Prado VZJ 3.4L 5VZ-FE. DONOR CAR: 2002 LEXUS LS 430 4.3L RWD ext. code 202(BLACK) int. code LK20 (BLACK LEATHER). MATCH PICTURES AND/OR PART NUMBER IF LISTED TO MAKE SURE THIS IS THE PART YOU NEED. LEFT SIDE IS THE DRIVERS SIDE AND THE RIGHT SIDE IS THE PASSENGER SIDE . UP-RATED 550cc FLOW RATE - IDEAL FOR TURBO CONVERSIONS. 1999 - 2006 Toyota Landcruiser FJZ78 4.5 1FZ-FE. 1999 - 2006 Toyota Landcruiser FJZ79 4.5 1FZ-FE. 1993 - 2006 Toyota Landcruiser FJZ80 4.5 1FZ-FE. GENUINE 2010 LEXUS RX 450H PETROL FUEL INECTION ECU. GENUINE LEXUS PART: TOYOTA 89661-48G30 DENSO 275400-1430. This item is tested (where possible), cleaned (where possible) and ready to fit. Scilly Isles, Scottish Highlands, Scottish Islands, Highlands, Islands. Donor vehicle- LEXUS RX 450h AWD 2013 RHD. Year - 2013. We also have more parts from this vehicle. RHDrefers to part from right hand drive vehicle (found in UK, Australia and others). Our consultants can also be reached on -gtvautoparts. Model - RX (_L1_). Year - 2009. This is a quality tested, used spare part! Parts are fully functional but you should expect normal wear corresponding to the year and milage of the car the part has been removed from. Model - GS (_S19_). Year - 2006. This is a quality tested, used spare part! Parts are fully functional but you should expect normal wear corresponding to the year and milage of the car the part has been removed from. Model - GS (_S19_). Year - 2005. This is a quality tested, used spare part! Parts are fully functional but you should expect normal wear corresponding to the year and milage of the car the part has been removed from. All our parts are genuine! Part Number: 2325031020. Price: 95 GBP.and don't forget drive safely! We will always respond! GA#31-009-180712. Reference OE/OEM Number: 23250-31020. Model - RX 450H AL10. Notes - Genuine Lexus,Suitable forLHD andRHD Vehicles. Year of Manufacture - 2012. Donor vehicle- LEXUS IS 220d 2008 RHD. Engine - 2.2 Diesel. Year - 2008. We also have more parts from this vehicle. RHDrefers to part from right hand drive vehicle (found in UK, Australia and others). Model - RX (_L1_). Year - 2013. This is a quality tested, used spare part! Parts are fully functional but you should expect normal wear corresponding to the year and milage of the car the part has been removed from. Donor vehicle- LEXUS LS 460 2013 RHD. Engine - 4.6 Petrol 1UR-FSE 280kW. Year - 2013. We also have more parts from this vehicle. RHDrefers to part from right hand drive vehicle (found in UK, Australia and others). 2008 LEXUS IS-F 88K BLACK EXTERIOR BLACK INTERIOR. LOWER FUEL RAIL INJECTORS SET ASSEMBLY. THIS ITEM FITS: LEXUS IS-F IS F2008 2009 2010 2011 201 2 2013 2014. 2008 LEXUS IS-F 88K BLACK EXTERIOR BLACK INTERIOR. UPPER FUEL RAIL INJECTORS SET ASSEMBLY. THIS ITEM FITS: LEXUS IS-F IS F2008 2009 2010 2011 201 2 2013 2014. Donor vehicle- LEXUS IS 220d 2009 RHD. Year - 2009. We also have more parts from this vehicle. RHDrefers to part from right hand drive vehicle (found in UK, Australia and others). - our phone number, you can call it or via Whatsapp or Viber. Donor vehicle- LEXUS IS 220d 2006 2AD-FHV MANUAL RHD. RHDrefers to part from right hand drive vehicle (found in UK, Australia and others). Year - 2006. Our consultants can also be reached on -gtvautoparts.